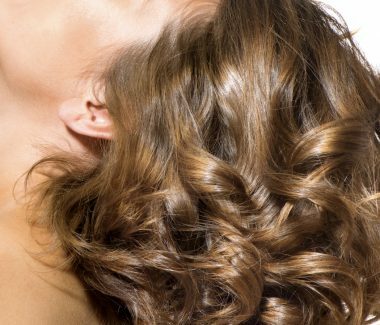 Hair loss in women poses unique challenges. But there have been new advances that give many women hope for thicker, more beautiful hair. Atlanta Face & Body now offers Platelet Rich Plasma (PRP) Hair Loss Therapy. This is one of the most talked-about new therapies for women’s hair loss because PRP can improve hair health and encourage regrowth. PRP can be used the treatment of Androgenic Alopecia (Female Pattern Hair Loss), Alopecia Areata, and Traction Alopecia. 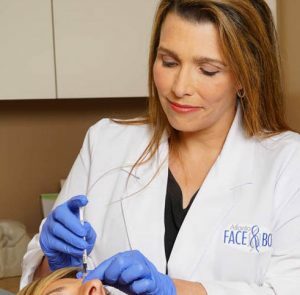 Dr. Elizabeth Whitaker is a double board-certified plastic surgeon. Here, Dr. Whitaker performs Platelet Rich Plasma procedure to help patient regrow hair on the scalp. Are You A Candidate for PRP Hair Loss Therapy? You could be a candidate for PRP if you have been suffering from thinning hair, excessive hair loss, or poor hair health. Dr. Elizabeth and her staff will provide you with a thorough evaluation during your private consultation and present you with potential options for treatment. Then you’ll be able to decide for yourself what is the best approach for you. Your platelets are harvested and concentrated, isolating the growth factors. The concentrated serum is then injected into your scalp using a series of injections. PRP has been around for over 20 years. It is used for its wound healing capabilities in various medical specialties including cardiovascular surgery, orthopedics, sports medicine, dermatology and other medical specialties. PRP was first utilized to treat hair loss in 2004, however it is not until recently that studies have shown its full potential in treating hair loss. Because the process is non-surgical, recovery time is minimal. You’ll be given detailed instructions as to how to care for yourself–and anything you should avoid–during the recovery process. As the growth factors in your platelets begin to take effect in their targeted locations, hair growth is stimulated and your hair may become fuller and healthier. Ongoing treatment may be needed for maintenance of results.